Waste and recycling collection company CR&R, Inc. and clean-water advocacy group Orange County Coastkeeper announce significant water quality improvements to waterways such as the Santa Ana River, following structural improvements at two solid waste sites in Orange County, California. REVIEW: Season opener, bookended by parties, featured the orchestra’s new concertmaster and a fiery pianist. Voice of OC Publisher Norberto Santana, Jr., will moderate this Sunday’s Irvine City Council candidate forum. 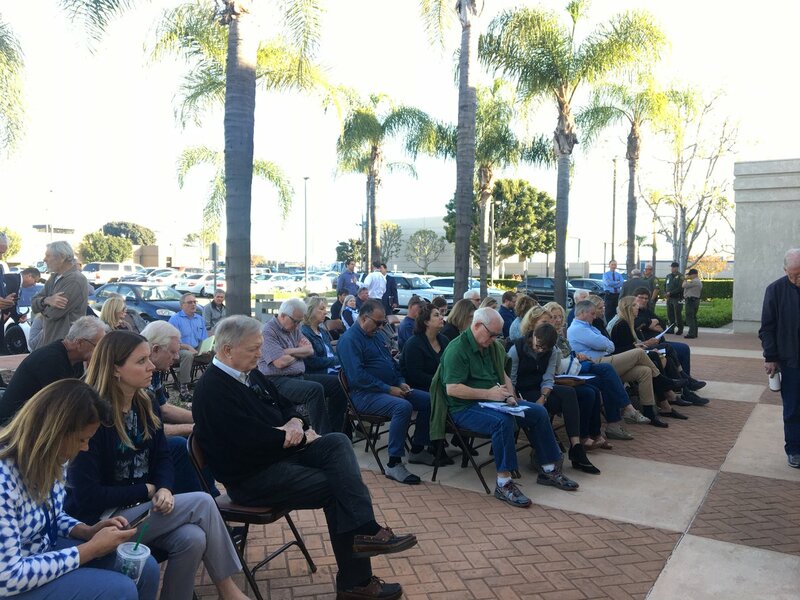 The forum is hosted by Irvine Watchdog, a nonpartisan volunteer group that invited all of the mayoral and council candidates. Two city council seats are up this year with twelve people vying for the positions. Nine of the candidates will attend the event. A candidate meet and greet starts at 4:15 p.m. and the forum is from 5 to 7 p.m. this Sunday, Sept.
For fall, the Orange County Playwrights Alliance goes to south OC’s most intriguing small theatre: Modjeska Playhouse. In its latest new play event, OCPA offers a varied playbill of four one-acts – staged readings of comedies and dramas bringing together actors and directors from Orange County’s thriving storefront theatre scene. The Pulitzer-winning playwright talks about his new play, the importance of SCR to his career, how to approach his art form in the Age of Trump, and a lot of other things.